On August 4, 2015, there was a major car crash that occurred at the T intersection of Route 401 and Fairview Road in Chester County Pennsylvania. Unfortunately, the car collision resulted in a fatality. It appears that the car crash may have resulted from a failure to stop at a stop sign. This car accident highlights the extreme danger car drivers face while driving on Chester County Pennsylvania roads and highways. Back roads in our rural areas are narrow and perilous. Our Chester County highways are crowded with commuters. Nowadays drivers face new hazards including drivers distracted by cell phone conversations, texting or even Internet surfing. As a Chester County Car Accident Lawyer, I hear stories every day of serious injuries caused by car accidents in Pennsylvania and it’s my job to explain their legal rights and to make sure they are treated fairly by car insurance companies. 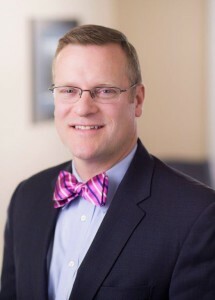 For more information about your legal rights after a Chester County Car Crash, contact Personal Injury Attorney Tim Rayne at [email protected] or 6108400124 or check out Tim’s website at https://timraynelaw.com. Tim has offices in Kennett Square and West Chester.